Publications translated 9 times into 6 different languages (Japanese, German, Italian, French, Polish, Finnish) with one further translation (Spanish) forthcoming. I am a Professor in the Departments of Political Science and Sociology & Anthropology. As an undergraduate I trained as a chemist at Imperial College, London, before doing graduate work in politics at City University New York, and York University in Toronto. I taught in the UK before moving to Carleton in 1999. I situate my work at the intersection of several fields: Foucauldian political sociology, actor network theory, public sphere theory, border criminologies, and citizenship studies. My research can be characterized in terms of three kinds of genealogy. Genealogies of the Social. My thesis work and first book, Unemployment and Government (2000), undertook a historical study of the birth of the category of unemployment, and the invention of social security. The perspective on security and space I developed in that project strongly shapes the way I approach the study of unauthorized migrations and refugee flows today. Genealogies of Politics and Governance. 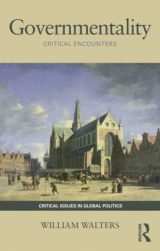 In a series of books – Global Governmentality (co-edited with Wendy Larner, 2004), Governing Europe (co-authored with J.H. Haahr, 2005), and Governmentality: Critical Encounters (2012) – I have pushed some of Foucault’s ideas about governmentality into new areas, such as transnational governance, and globalization debates. I argue for keeping neoliberalism in perspective and as a tactical counter-weight I explore other governmentalities. One of these is pastoral power and its contemporary articulations, such as the humanitarian. I am currently writing a book on the genealogy of the political secret which is scheduled to appear with Routledge in early 2019. I discovered that the Greek god of secrecy and silence was called Harpocrates . So when Stephen Harper left office I definitely missed a polemical opportunity! Genealogies of Borders and Migration. I have published numerous chapters and articles on deportation, the illegalization of migration, and the technopolitics of borders and mobilities . With Martin Geiger and Parvati Raghuram I co-edit the book series Mobility & Politics for Palgrave Macmillan. I am also directing the SSHRC funded project The Air Deportation Project, a five-year investigation into the aerial geographies of forced removal and expulsion in and from Europe. 2017 Carleton University Research Achievement Award. Professor Chandler has received this award for her project Canada and Democracy Promotion in Central Europe 1945-1989. The research will investigate the evolution of Canada’s foreign relations with East European communist countries during the Cold War (1945-89). The research will explore the question of whether medium-sized states can play a role in promoting democratization in authoritarian states. Furthermore, the research will illuminate the extent to which East European communist countries were able to make foreign policy that was independent from the Soviet Union, the powerful state that led the East bloc. 2016 Carleton University Research Achievement Award. 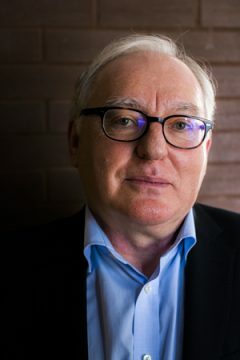 William Cross is a professor and the Bell Chair in Canadian Parliamentary Democracy in the Department of Political Science. 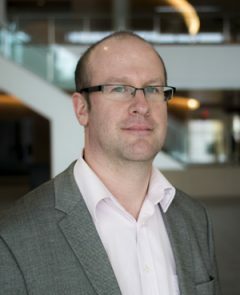 His research focuses on questions relating to democratic institutions and political party organizations both in Canada and other western democracies. 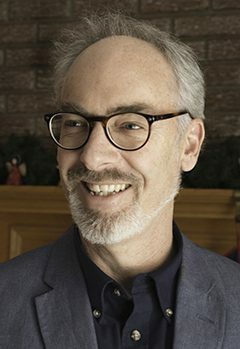 Among his current projects is a study entitled ‘who is the political party in Canada?’ This project examines the individuals who make up the party at different levels, including grassroots members, mid-level activists, candidates and MPs, and campaign professionals. 2014 winner of the FPA Research Excellence Award, in recognition of his significant research achievement. As well as honouring Dr. Dutkiewicz’s outstanding record of publications, the award was given in part for his proposal for a study of how Russian society has been affected by transformational change since 1991. The research resulted in an edited volume: Piotr Dutkiewicz, Richard Sakwa, and Vladimir Kulikov (eds), SOCIAL HISTORY OF POST-COMMUNIST RUSSIA, Routledge (London & New York), 2016, pp.320. The book narrates the largely untold story of how ordinary Russians experienced and coped with Russia’s transformation after the end of communism. 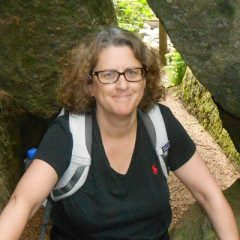 Dr. Dutkiewicz has been studying Russian politics and society for 30 years: “It was a fascinating journey working with and learning from many extraordinary people across many Russian regions ranging from North to South, studying formal and informal rules and practices, institutions and culture. My goal is to bring better understanding of Russia to Canada and to assist Russians in learning more about Canada”. 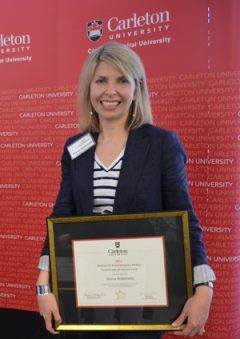 received Carleton’s “Building Connections Award” for their work in the Migration and Diaspora Studies Initiative. Christina Gabriel, Laura Macdonald, Cristina Rojas and William Walters have also been involved in the initiative. 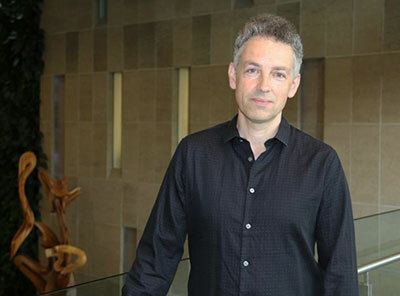 Migration and Diaspora Studies (MDS) at Carleton has concentrated the research strengths of over three dozen faculty at Carleton and has attracted international scholars, including Political Science’s own Martin Geiger. External funding from Toronto Dominion has led to a scholarship program and funding for events that unite government, non-government, business and academic sectors. MDS has also produced an active student group at the undergraduate and graduate levels. 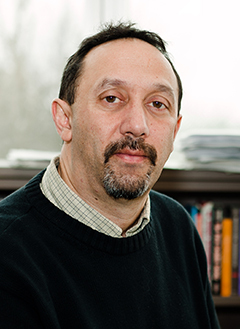 The MDS initiative ties into Professor Sahadeo’s own work on late Soviet era migration from Central Asia to Russia. 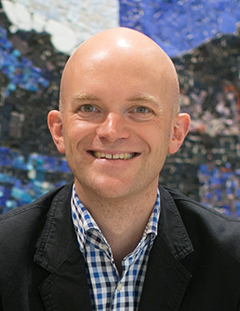 2016 – Martin Geiger is the department’s finalist for the Capital Educator’s Award. 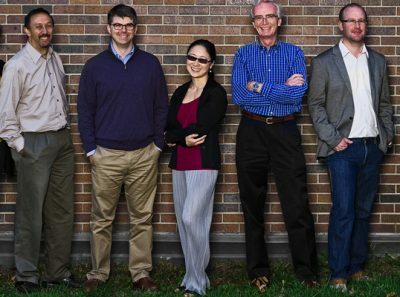 This award recognizes the success of Professor Geiger in involving students in his own research and bringing his and their research to the classroom. Teaching and research are intertwined in the unique transnational “Mobility & Politics Research Collective” (or short: “MobPoli”) that Martin Geiger has created (www.mobpoli.info) at Carleton University. 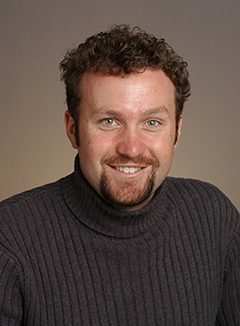 2015 – Martin Geiger has been awarded a SSHRC Insight Development Grant for a new project entitled “The International Organization for Migration (IOM): Legitimacy, Influence and Capacity through the Successful Management of External Relations”. This project will involve students at different stages of their career in collaborative faculty-student research and dissemination activities. 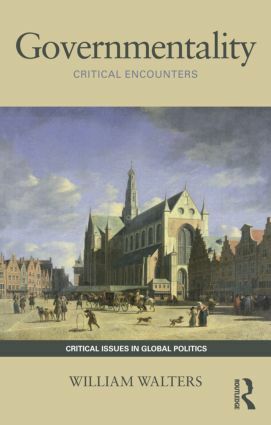 Although the field of study known as International Political Economy (IPE) dates back to at least the 18th century, our understanding of its theoretical foundations rarely include how the idea of history itself might affect how we think about IPE. My research explores how the idea of history – what history means, how we can understand or know it, and how we might conduct research on an historical event or development – has shaped the evolution of theory in IPE. I focus on a way of thinking about history that brings together history as a subject matter and as a mode of reasoning about its practice, and then trace the evolution of this way of thinking through a series 20th century ‘discoveries’ of IPE by prominent scholars whose work informs contemporary scholarship. The thinkers and theorists my research explores begins with the work of Giambattista Vico, before moving to consider Karl Marx, RG Collingwood, EH Carr, Antonio Gramsci, Karl Polanyi and Fernand Braudel among others. I conclude my intellectual history of the idea of historical reasoning by examining the work of Susan Strange and Robert Cox in terms of their importance for the modern discipline of IPE. As the world contends with the recent emergence of powerful populist movements in Europe and North America, the question of political judgment has become particularly prominent. This project investigates how particular conceptions of history shaped conceptions of political judgment in the works of the five leading historians of the Scottish Enlightenment. The European Union gives this prestigious designation to university professors teaching primarily on European integration; it comprises financial support for course development as well as research and outreach activities. Professor Hurrelmann’s Jean Monnet Chair focuses on “Democracy in the European Union”. The Chair helps support new Political Science and EURUS courses both at the undergraduate and graduate levels, and academic workshops, lectures, and expert briefing sessions on topics related to EU governance. The project examines the implications that the financial crisis in the Eurozone has had for democratic politics in the European Union (EU): Has the crisis led to an increased politicization of EU affairs, meaning that citizens follow EU politics more attentively and participate more actively in EU-related political discourse? If so, which debates and controversies have gained importance? Do the political processes set in motion by the financial crisis threaten to tear the EU apart, or do they have the potential to facilitate further democratic development? To answer these questions, the study analyzes parliamentary and media discourse as well as focus groups with citizens in four Eurozone member states — bailout recipients (Spain and Ireland) as well as contributors (Germany and Austria) — between 2008 and 2014. 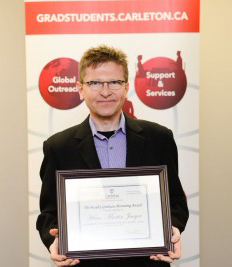 2015 Graduate Mentoring Award, Faculty of Graduate and Postdoctoral Affairs. The award recognizes faculty who render exceptional service to graduate students as supervisors and research mentors. 2018 SSHRC Insight Grant. “Transnational Civil Society Linkages in North America”. Total grant $290,949. This research project examines the nature of transnational cooperation between civil society actors in Canada, the United States and Mexico. Researchers will analyze diverse forms of cross-border cooperation and conflict around three themes: labour rights, migration, and human rights, in order to understand how transnational cooperation has evolved over time, and how transnationalism differs across issue area. This research on the North American case will yield insights that will illuminate the nature of transnationalism in the contemporary global economy and contribute to public debate about the future of the region. 2016 SSHRC Connection Grant. “Canada’s Past and Future in the Americas”. Total grant $24,595. 2016-2018 SSHRC Insight Development Grant (Co-investigator). “Safe Cities, Urban Politics and Social Policy in North America”. 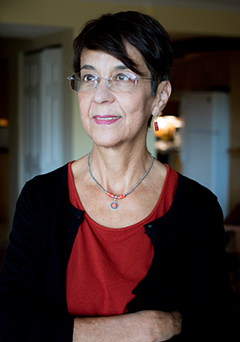 Principal Investigator Lucy Luccisano, Wilfrid Laurier University. Total grant $74,395. 2016-2018 SSHRC Partnership Development Grant. (Co-investigator). “Austerity and its Alternatives”. 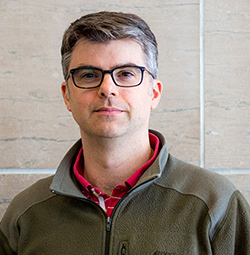 Principal Investigator Stephen McBride, McMaster University. Total grant $199,740. Responding to the needs of refugees is a global challenge. While Canadians have demonstrated their commitment to refugees through the resettlement of Syrian refugees, 86 per cent of the world’s refugees remain in the global south. Resettlement opportunities only exist for one per cent of these refugees. How can civil society better respond to the needs of refugees? How can new research and training contribute to better solutions? The research team will study efforts to implement global refugee policy in diverse places, identify factors that impact implementation and identify how civil society can contribute to improved outcomes for refugees. The group will begin with the cases of Jordan, Kenya, Lebanon and Tanzania. The project will train 96 graduate students over seven years to work with local academics, students, NGOs and refugees. 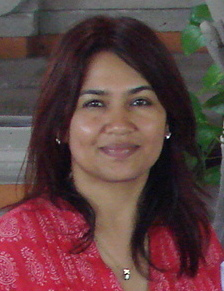 To build research and practitioner capacity, the group will host annual summer institutes in Canada and affected countries, train refugees and NGO workers in citizen journalism, support fellowships at Carleton for six visiting fellows from the global south and implement professional development programs for NGOs. 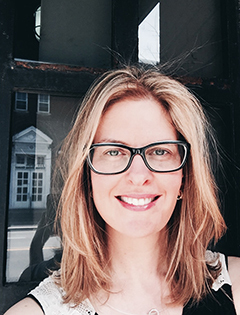 Fiona Robinson is the recipient of a 2014 Carleton University Research Achievement Award. These awards recognize research excellence over a five-year period. Professor Robinson’s research uses care ethics as a critical lens to rethink key ideas and issues in global politics. 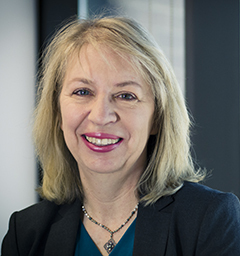 In 2011, she published two books: The Ethics of Care: A Feminist Approach to Human Security (Temple University Press, 2011), and (co-editor Dianne Mahon), Feminist Ethics and Social Politics: Towards a New Global Political Economy of Care (UBC Press, 2011). Fiona Robinson is also the winner of the inaugural (2014) J. Ann Tickner Book Prize from the School of International Relations at the University of Southern California. The J. Ann Tickner Book Prize honours outstanding new work in the tradition of Tickner’s pioneering scholarship. The Tickner Prize was established in recognition of Professor Tickner’s path-breaking scholarship on gender and feminist International Relations and her tireless commitment to engagement across disciplinary paradigms. 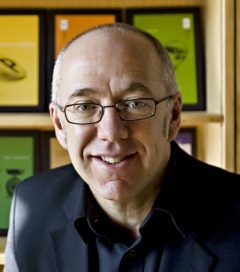 The prize seeks to recognize the author of a book that critically engages IR theory, that questions disciplinary assumptions, and that helps build practical knowledge to address pressing issues and contribute to a more just and peaceful world.” In October, 2014, Professor Robinson travelled to the University of Southern California to deliver the Tickner Prize lecture. In 2016, the International Feminist Journal of Politics published the first J. Ann Tickner Prize essay, ‘When Worlds Collide’ which describes the process of writing her prize-winning book, The Ethics of Care. Dr. Cristina Rojas’s research focuses on the relation between modernity as a universal project and coloniality. 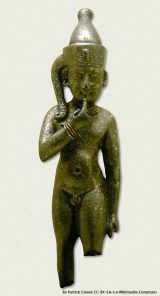 It engages those worlds that modernity regards as non-existent or ‘unthinkable’, assuming their inhabitants are destined for assimilation or extinction. Yet these suppressed worlds not only persist, but are gaining visibility because of their capacity to respond to the crisis of capitalism, environmental destruction and reproduction. Her analysis centres on the case of Bolivia, where mobilizations led by indigenous men and women, often in alliance with non-indigenous movements, interrupted the premise that modernist responses are the only possible alternatives. Teaching Development Grant, Teaching and Learning Services, Carleton University (February 2018) to support the development of her book called Op-ed Writing and Social Media Engagement: A Guide for Students and Scholars (under contract with University of Toronto Press). OCUFA Teaching Excellence Award (Ontario Confederation of University Faculty Associations), September 2017, the highest post-secondary teaching award in Ontario.